We want to be sure we answer all your questions about learning communities so you can make an informed decision about your participation. 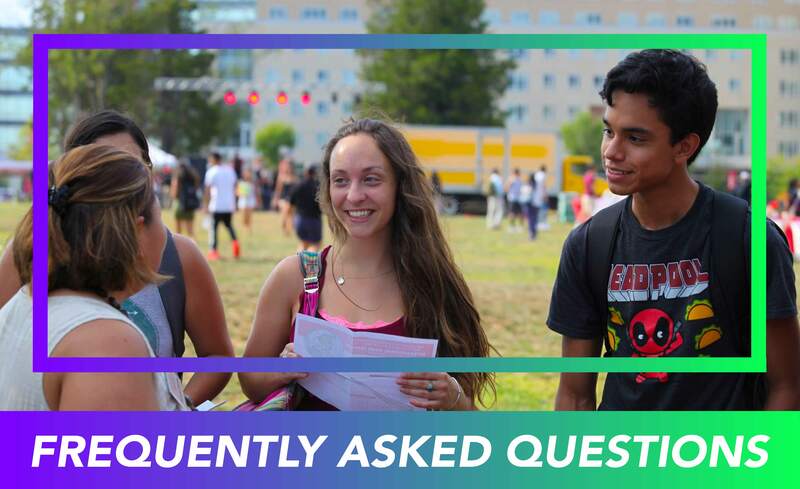 We have put together a list of the most commonly asked questions by incoming first-years and transfers. Have a look and if you still have questions, please contact us at rulc@echo.rutgers.edu. A living-learning community is a self-selected group of students who share similar academic, cultural or language interests and explore them together in common courses and out of classroom activities. Living-learning communities have the added benefit of being on the same floor with community members. Students in living-learning communities report making friends quickly and connecting with faculty, staff and other students more easily. LLCs help facilitate your transition to campus life by making Rutgers a smaller place and by giving you a chance to live and learn with students of similar interests. LLCs build a supportive, fun, and vibrant community of friends! Each student enrolled in a living-learning community takes one to three courses related to the theme of the community, as well as participates in programs which are designed by a residential peer mentor (upperclassman staff member with similar academic, cultural, or language interests). Additionally, students participate in 1-on-1 conversations with their peer mentor, twice a semester. Select the LLC you are interested in on the Enrollment Pathway within the Housing application (Business LLC, Health and Medicine, and SAS Transfer Knights are the exceptions as they are invite-only communities). Visit ruoncampus.rutgers.edu/rulc/ to complete an online application. LLC application opens April 1. We will give priority to those who meet eligibility requirements and apply before June 11. Applications received after June 11 will be considered as well on a case-by-case basis. Please be as specific as possible in each essay response for full consideration, as the essay is the main method by which we determine your fit for the community. You will receive a time-sensitive link to accept or decline the community after your application has been reviewed. We reserve the right to give the opportunity to another applicant if you do not reply to accept or decline the community by the deadline. Admittance to the community is on a rolling basis. Generally, the earlier you apply, the earlier you will hear from us. Our priority deadline is June 10, 2018, but we will review additional applications after this time if the LLC has not filled. Note: For all living-learning communities you must complete your housing application and contract or you will not be placed into the program. Does being part of a particular LLC mean that I am committing to that field of study as a major or future career? No. Signing up to be in a particular living-learning community does not mean that you are committing to major in that topic of interest. The living-learning community is designed to help you explore that particular area of interest. What if I’m undecided on my major? If you are undecided, joining a living-learning community is helpful in figuring out what major you would like to pursue. By joining a living-learning community that appeals to your interests, you will be able to better decide whether or not that is a major/field of study that you would like to pursue. If I already picked a roommate, can they still be my roommate in the living-learning community? For many of our LLCs you and your roommate must both apply and be accepted into the LLC in order to live together. What if I no longer want to be a part of the living-learning community after I have been assigned to the community? If you determine that you no longer want to live in the assigned LLC space, please email the Learning Communities Office at rulc@echo.rutgers.edu regarding your request. If approved, there is a potential for your classes to shift depending on the courses connected to that particular LLC. First-Years Only: If I choose to be in a living-learning community that does not relate to the major that I want to pursue, will I be behind in class requirements? No. As a first-year student you have plenty of time to take exploratory classes to figure out what you want to major in. Regardless of what you choose as a major, all classes taken in the living-learning community will count towards your graduation credit. First-Years Only: What courses are part of the living-learning community? Each community has between one to three courses that students share in common. Please check ruoncampus.rutgers.edu/rulc/ for details. For some living- learning communities, you may be enrolled in a larger introductory course, which has students from both inside and outside of the LLC. First-Years Only: How is being in a living-learning community different than if I came into Rutgers as a regular student? Being part of a living-learning community still classifies you as a regular student, and you are still involved in all the offerings of our residential first-year experience. You will get an added bonus of having an enhanced experience through a program that will contribute to your success at Rutgers by having access to peer mentors, professional staff, and faculty, that have your academic, cultural, and/or language interests in mind. SAS Transfer Knights Only: What courses are part of the living-learning community? Each community has one course that the students share in common. The Students in Transition Seminar is a uniquely designed course that is exclusively held for SAS Transfer Knights community members. STS courses are a 1-credit requirement by the School of Arts and Sciences. The community gives you the added benefit of co-enrolling with living-learning community members who are interested in life sciences, physical sciences, or communication. Do I have to live on campus to be part of a living-learning community? The majority of our living-learning communities are residential programs that require you to live on a designated floor, suite or house. However, Douglass welcomes commuters in addition to residential students. Do LLC members have an opportunity to interact with non-LLC members, in residence? Yes. Most living-learning communities are housed in buildings with both LLC members and non-LLC members, and so there are ample opportunities to engage with both LLC members and non-LLC members. Is there any extra cost to take part in a living-learning community? $60 course fee for the Global Village course. This fee is used for all co-curricular programming that takes place within the house. What’s the difference between a living-learning community and a thematic community? Living-learning communities have a course component, whereas thematic communities do not. Thematic communities also do not have peer mentor staff on hand for informal advising and assistance with transitioning to Rutgers. However, thematic communities do have access to resident assistant staff. What are the eligibility requirements for living-learning communities? Visit the learning communities website or contact rulc@echo.rutgers.edu for additional information.